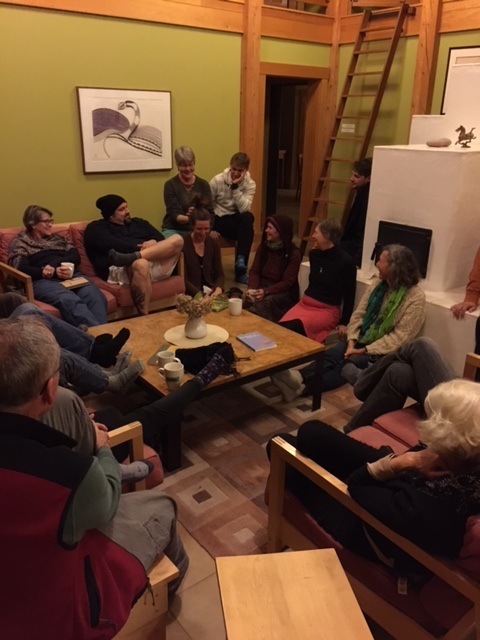 ﻿The primary facility for meetings and group retreats is Juniper Lodge on a hill overlooking the farm; it is a kind of gateway to the forest. Since its completion in 2007, it has been the centre for hosting many group retreats: health and wellness, personal development, leadership training, family gatherings and celebratory events. ​As an overnight accommodation it can sleep between 19 to 23 people in its apartment quadrants and loft spaces that radiate out from the central "great room" and kachelofen, which provides heat for the building in cooler months. 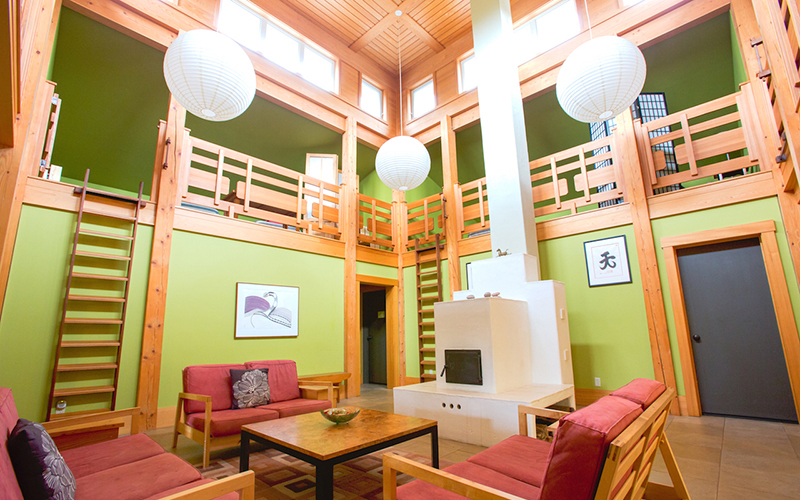 Heat is also provided from the floor, which gets hot water from 12 large thermal solar panels to the west of the Lodge. Not surprisingly, the building was built with wood from the surrounding forest and the interiors were crafted in the Windhorse wood shop. 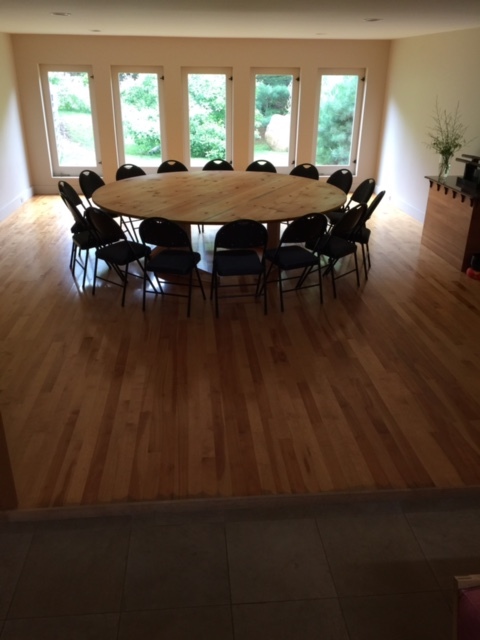 The large bright room off the Great Room is used for meetings, meditation, yoga and dancing. There are ample "break-out" spaces to accommodate almost any meeting design. If your group includes fewer than 15 people, meals can be served in the dining room off the program kitchen (there are three other kitchens and dining areas, one in each self-contained pod). For larger groups, the adjoining Pavilion seats 40 for meals. Ready to book a space for your event or gathering? Get in touch for detailed rates and availability. ​Rates offered through online booking sites may vary. Windhorse makes an effort to accommodate charitable organizations on a tight budget. ​We occasionally offer last-minute discounts to newsletter and social media subscribers. Make sure to sign up and follow Windhorse on Facebook, Twitter, and Instagram. ​There is a firm no pets policy.